Still excited after flying from Milan to London just to attend the 10th Anniversary Conference of the Journal of Intellectual Property Law & Practice [#jiplp10 was the relevant hashtag, and our beloved Jeremy live-blogged the event here], our dear friend and colleague Alberto Bellan is nonetheless back with his 74th edition of his invariably helpful Never Too Late feature, summarising the content of last week's Katposts. Wondering if you missed anything? Katfriend and occasional contributor Dorothea Thompson reports on BSI Enterprises Ltd & Another v Blue Mountain Music Ltd  EWCA Civ 1151, a 18 November ruling of the Court of Appeal, England and Wales, applying the principles of contractual interpretation in the context of a fairly complex music copyright assignments involving some the much-missed king of reggae's songs. Katfriends Ray Black and Mary Guinness (Mishcon de Reya) analyse the Italian decision in the case that originated that wonderful Court of Justice of the European Union's (CJEU) ruling in Case C-355/12 Nintendo v PC Box [noted here and here]. From Katfriend Nuno Sousa e Silva who teaches at the Law School of the Portuguese Catholic University, Porto (Portugal), comes an analysis of an issue that is not only sensitive within Europe in general but may divide the Portuguese from the Scots: the interaction of Europe's laws on the protection of geographical indications with those which allow for the registration of trade marks. As blogmeister Jeremy reported earlier this month, Mr Justice Arnold granted an injunction against Sandoz which was about to launch a full-label product, notwithstanding that he had considered the patent invalid in the decision now known as Warner-Lambert V [see posts here, here and here] because he had given permission to appeal and so there was a possibility that the Court of Appeal would find the patent valid. Darren reports. YouTube to litigate copyright infringement/fair use actions on behalf of users harassed by subject to inappropriate DMCA takedown requests? This is apparently what is going to happen soon, as IP enthusiast Nedim Malovic (Stockholm University) explains. In case you were wondering what to do with your precious leisure time over the end-of-year period when things get a bit quiet, Jeremy has some recent intellectual property publications that might take your fancy, the latter being US Patent Law for European Patent Professionals, by Audrey Nemeth; IP and Other Things: a Collection of Essays and Speeches, by Katfriend and judge-turned-academic Sir Robin Jacob; Owning the World of Ideas: Intellectual Property and Global Network Capitalism, by Matthew David and Debora Halbert; and MindWealth, by William A. Jones. Jani analyses Stretchline Intellectual Properties Ltd v H&M Hennes & Mauritz UK Ltd  EWHC 3298 (Pat), a decision that dealt with a UK patent concerning the tubular fabric in underwired garments such as brassieres. …and we say "thank you!" Nikos, a.k.a. the GreeKat (good one! ), pens this post about the well-known and much-debated issue of the product plain packaging [on which see earlier Katposts here, here, here, and here]. A few days ago the Court of Appeal of England and Wales handed down its decision in Rovi Guides Inc v Virgin Media Ltd & Others  EWCA Civ 1214. As Annsley explains in this post, that litigation started back in 2012 and focuses on an exciting Rovi's patent - European Patent (UK) No 0, 862,833 - which relates to interactive video communications and viewer-controlled selection of programming information. Starting from Jeremy's words at the 10th anniversary JIPLP program, Neil reflects on the state of IP in the universities. There are good reasons for concern, he says. Never Too Late 72 [week ending on Sunday 15 November] – Merck Sharp & Dohme v Ono Pharmaceutical | Warner-Lambert Co LLC v Sandoz GmbH, Sandoz Ltd and Lloyds Pharmcacy Ltd | Economics of internet trolls | UK IPO scammer scammed | Video conferencing at the EPO | Warner-Lambert v Pfizer in France | African Ministerial Conference in IP | Green claims and branding | CJEU in Case C‑572/13, Hewlett-Packard Belgium SPRL v Reprobel SCRL | World IP Report | New reference on blocking injuctions reaches the CJEU | Helme & Others v Maher & Another | European fruit and vegetables threatened by patent. Never Too Late 71 [week ending on Sunday 8 November] – Article 112a EPC 2000 in EPO BoA R 0016/13 and R0002/15 | US Court on copyright over a 3-word phrase | EPO pauses poisonous-priority proceedings | Spain and right to be forgotten | Scotland NTS and IP | The Tartan Army Limited v Sett Gmbh, Oliver Reifler, Iain Emerson and Alba Football Fans Limited | New EU copyright exclusive! | EPO BoA plays better in 10 men | Maps and databases in C-490/14 Verlag Esterbauer | Yoga and copyright | Reid Hoffman and networks | The Lyrica patent dispute | TPP backlash. 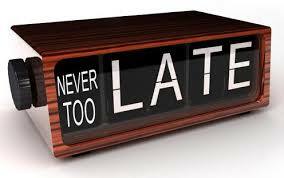 Never Too Late 70 [week ending on Sunday 1 November] – Case T-309/13 Enosi Mastichoparagogon Chiou v OHIM, Gaba International Holding GmbH | Sixteen millions IPKats | Tomaydo-Tomahhdo LLC v George Vozray et al | Lookalike packaging | Parasite copying | 3D printing | Labouring the point? EPO dispute culture festers.